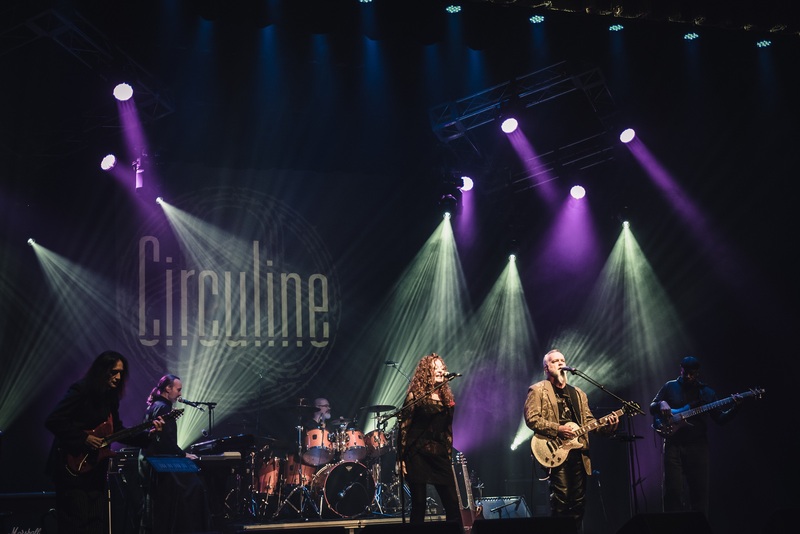 Nominated for PROG Magazine’s 2016 Limelight award for best new band, Circuline recently performed at the 13th International Rites of Spring festival (RoSfest) in Gettysburg, Pennsylvania alongside headliners Spock’s Beard and Zebra. Additional 2016 gigs include the New Jersey ProgHouse, Philadelphia’s Liberty Music Fest, and Chicago’s Progtoberfest. Circuline has previously opened for 20-year prog veterans Glass Hammer (east coast U.S. tour), and has repeatedly co-headlined the traveling Sonic Voyage Fest. The band members are: Andrew Colyer (keyboards, vocals), Darin Brannon (drums, percussion), Beledo (guitars), Joel Simches (bass), and lead vocalists Billy Spillane and Natalie Brown.